April 30, 2014 Pulped Fiction – Brown Political Review (USA). Feb 23, 2014 The Lunatic Hindu Fringe and book-banning in India – The Daily Mail (UK). Jan 22, 2014. Writing the Self named an Outstanding Academic Title for 2013. Oct 21, 2013. Between Ink and Retina – Outlook – Anuradha Raman explains how books get “banned” in a country that doesn’t ban books. 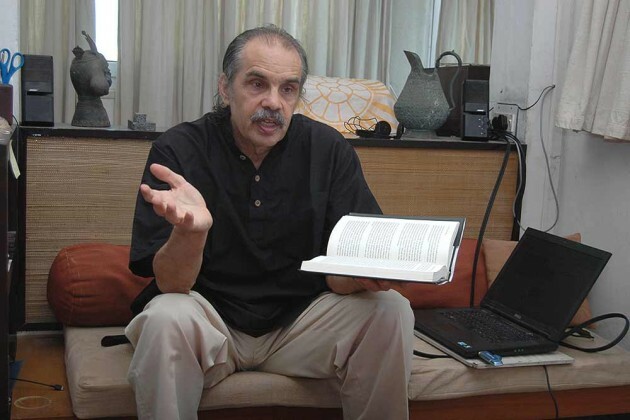 Apr 12, 2012 India punishes author for controversial book? US historian Peter Heehs faces the threat of being deported back to his home country after his controversial biography on Sri Aurobindo manages to create a stir. Apr 12, 2012 Face The Nation: Are historians losing their freedom of expression? Once again a book has been banned. This time the author is American historian Peter Heehs for his book The Lives of Sri Aurobindo. Apr 11, 2012 The intolerant Indian? The pattern’s become depressingly familiar — a writer presents new views on a historical figure. A group with some affiliation to this figure, ethnic, devotional or political, takes offence…. Crossfire over Heehs’s work says much about our public culture of readership India’s visa policy for scholars has long been a scandal unworthy of a liberal democracy. Historian Peter Heehs is part of a long list of foreigners who’ve made a signal contribution to India. A favourable review of his visa extension will benefit the nation. Article by Ramachandra Guha (one of India’s leading historians) about banning books in India. He discusses books by Lelyveld, Heehs et al.